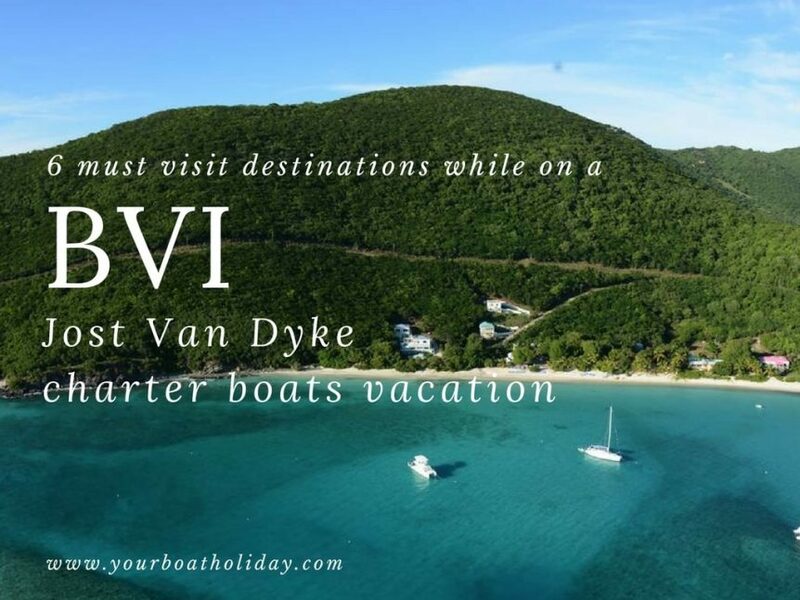 Your British Virgin Island vacation is simply incomplete without enjoying BVI Jost Van Dyke charter boats! When are you planning to explore the beauty of these Caribbean islands then what can be better than staying amidst the sea? Simply nothing! Plan a vacation but before that let’s see when the wind is at its best? Summer (June to September) – Hurricanes may happen this time, so it is better you take a crewed Yacht for your vacation. Rain (September to December) – If you love nature then this is the best season for chartering in the BVI Jost Van Dyke. Party season (December to February) – If you want to party like there is no tomorrow, then this is the best time for you. Winter (January to February) – This time is perfect to witness the myriad animals and their beauty. Now that you know when to plan your vacation, here are few things that you must do there! This is the best destination to visit. You can go with family, friends, partner or even alone. Believe it or not, there won’t be a single moment of dullness. So, plan your charter by ticking on these Jost Van Dyke destinations! This easy to walk white sand beach is a spectacular sight! With the wind tangling your hair and the clear water, don’t forget to boat in the reef! There are several bars on the beach and also certain water sports and cool Jost Van Dyke activities where you can indulge. Here one of the best places to drink and dine is Ivan’s Stress-Free Bar! Do not miss this place. Once you reach the dock take a taxi ride which will cost you around $5 to $7 and then you can reach this amazing bar! Start the day with breakfast in the Yacht (as in most of the BVI Jost Van Dyke charter boat package are inclusive of meals) and then reach this stunning place. After that, once you reach there, you must try their authentic cocktail ‘Painkiller’. Standing on the white sand beach, this open air bar will give you an ethnic touch in its décor. With several cardamom trees and sea grapes covering the place and then you have amazing Caribbean rum! If you are planning to hit Foxy’s, then the best time is to go there post lunch! Yes, you should enjoy a good sail ride or try some Jost Van Dyke activities like diving or underwater swimming, etc. and then head to dance all night long. Even if you are not a big fan of cocktails, you will hardly be able to keep yourself away from the speciality drinks. You know the Caribbean is another name for great cocktails. To spice up more, the food there is simply amazing – try the ribs and top shelf booze. If you think that is it, then wait till the DJ starts playing! This island is all the more famous for scuba diving. Take two to three dives, and you can encounter eagle rays, lion fishes, several lobsters, corals and if you are very lucky, then you can even spot a shark. This can be one of the best Jost Van Dyke activities. After that, you can get some cool T-shirts and other stuff to buy from the Scuba store. So, you can shop, boat, dive and then return to your yacht! What do you think about a little hiking and then surfing? Sounds great right? This is exactly what you will get to do at the Bubbly Pool while you are on chartering in the BVI Jost Van Dyke. The best time if the tide is rising, then you can see some pretty big waves along breaking out on the reef! So, do not miss going to the place if you want to enjoy the vacation completely. One Love Bar and Grill! If you think that it is just any other shack by seeing the plastic chair and not-so-well décor; then don’t judge this place by its look! To be very honest, you get one of the best grills here! So, enjoy your chartering in the BVI Jost Van Dyke vacation. Book the best BVI Charter Yacht soon!